Clocktower presents Transmissions, Long Tones in A and E by artist Pat Noecker aka RAFT. The revelatory performance explores the potential of technology, the power of sound and the joy of collective expression, through the collaboration of ten musicians installed throughout the Pioneer Works' building and a specially designed app encouraging audience participation in the piece. 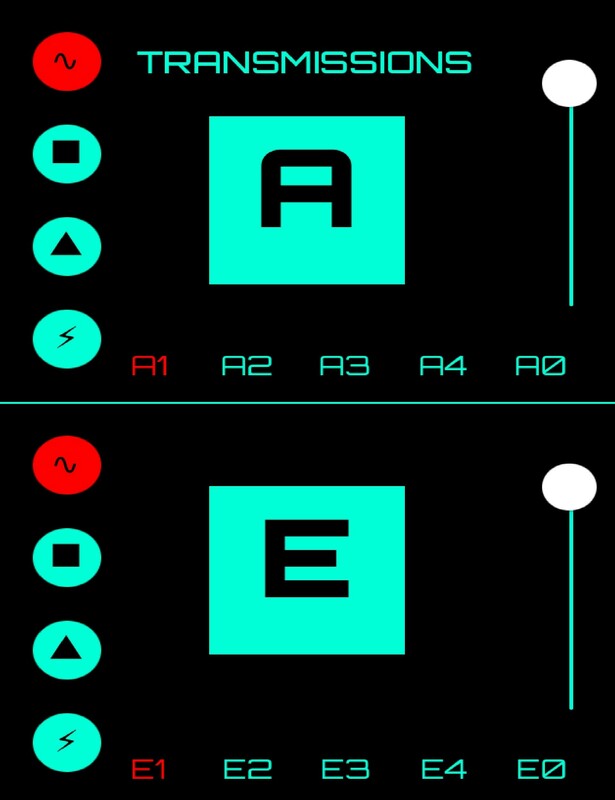 The Transmissions app has been designed by Noecker and developed by Johann Diedrick. Raft, the world’s first cellphonist, believes that APPS and smart phones do not have to isolate us and that they can facilitate unified and collaborative creative events. Transmissions could be seen as one large audio speaker: The space as the resonant casing, the audience members with the app as the tweeters and the ensemble as the woofer. Pat Spadine is a composer, amateur engineer, scientific tourist, and pack rat. Spadine uses the vast majority of his time guiding the Ashcan Orchestra through it's glorification rites praising the known universe. Occasionally he gets to play tape recorders in PC Worship. And even less frequently he eats, sleeps, and goes to work, in no particular order. Michael Durek is a multi-instrumentalist, sound designer and producer. He is theUse and also plays with Pas Musique and George Sand. He has recently performed in notable festivals including Upvan Arts (India), CoCArt Festival, Avant Garde Festival and Kunstzwerg Festival and also at the Queens Museum. He has appeared on 25 albums. Tracy Brooks hails from New Zealand but grew up in Kentucky where she studied trumpet. She moved to NYC in 2004. Her projects have included playing trumpet and euphonium in Beirut and playing flute, synth, and trumpet in Bright Moments. She has recorded and/or performed with many artists including Herman Dune, Bishop Allen, Calexico, Owen Pallett, Rachel Lipson, Jeff Mangum, the Mindernickles, Richard Papercuts, and Volcano the Bear’s Aaron Moore. Victoria Keddie is a multi disciplinary artist based in Brooklyn. She works in varying media involving audio/visual signal generation, magnetic field recording, and broadcast. Keddie’s projects involve communicating "aggressive" signal based systems and oscillating signals as well as the breaking down of pattern sequences on both an auditory and visual plane. Her work explores the human relationship with machine through choreography in magnetic fields. Keddie is the Co-Director of a televisual project, E.S.P. TV, a live TV studio that hybridizes technologies old and new to realize synthetic environments for performance while also exposing the process of production. She has performed and exhibited internationally at venues that include: New Museum, Storefront for Art and Architecture, Museum of Arts and Design, The Kitchen, Experimental Intermedia, Museum of Moving Image, and Issue Project Room. ​​Dana Schechter is a bassist, composer, vocalist and multi­-instrumentalist currently living in Brooklyn. She also works as a professional animator and video artist for film and TV. Her primary live music project since 2013 is Insect Ark, a duo of electronic/live drums & lap steel, bass, and synthesizers. Insect Ark bridges the wide and wooly gap between contemporary doom metal and 60's horror film soundtracks. JG Thirlwell is a composer/producer/performer based in Brooklyn. After working with experimental group Nurse With Wound, Thirlwell started making his own records in 1980, initially releasing them on his own “Self Immolation” label. He was inspired by the post-punk explosion of creativity in the UK which engendered the accessibility of DIY, as well as the writings of John Cage and systems music, among other things. He relocated to NYC in 1983, where he still lives and works today. Laura Ortman is a Brooklyn composer, musician, visual artist, and hairstylist, in the process of recording her third solo album with Gowanus engineer Martin Bisi, playing violin, Apache violin, electric guitar, amplified piano, Casio, pedal steel guitar, vocals, samples and field recordings. She has collaborated with great artists, filmmakers, dancers and musicians. Ted McGrath is a visual artist and musician based in Brooklyn. He currently makes music as The Flag, combining live instrumentation and ramshackle electronics and deploying these elements through an intuition and improvisation-based writing process, a strong emphasis on rhythm, and deep fascination with the earliest ideas of "rock and roll." After issuing singles over the past 2 years on the GODMODE label, The Flag's debut LP is due out the summer of 2015 via Geographic North. 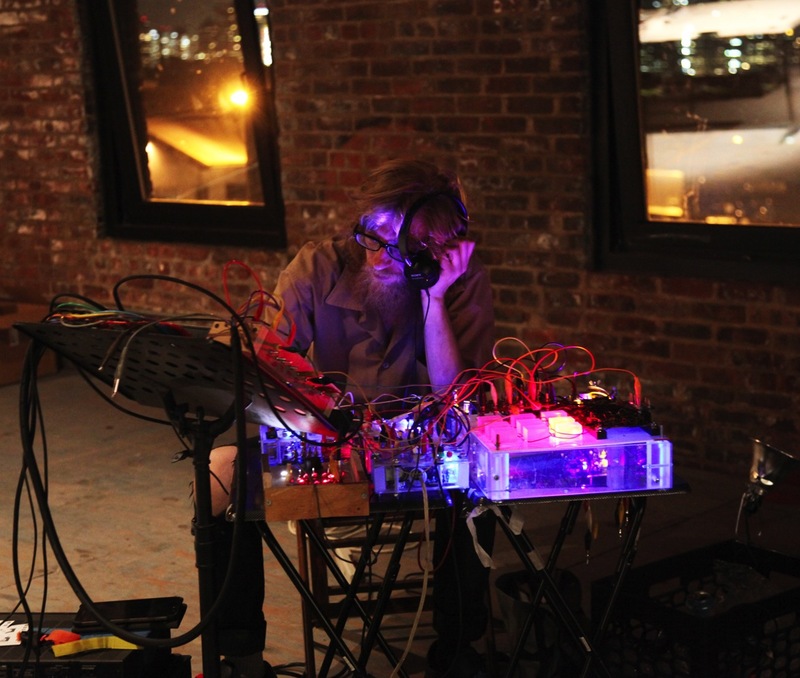 Aaron Moore is an Englishman residing in Brooklyn who plays music with instruments & devices. Primarily a drummer, he generally considers any instrument or object playable in one way or another. Moore is a founding member of English experimental music group Volcano The Bear. In their 19th year together VTB have been critically acclaimed as one the leading lights of the British experimental music scene. Michael Garofalo is an electro-acoustic musician and documentary radio producer. Using analog synthesizers, lamellophones, field recordings, and found sounds he crafts pieces that reside in a sonic territory between incidental music for radio/television and eccentric synth-pop. He was a founding member of the improvising trio Latitude/Longitude (active 2004-2010). He performs solo and with like-minded artists, in collaborations including the experimental radio piece, In Determining John Cage (2012), with Shonni Enelow and Josh Hoglund, and an outdoor installation-performance at Groundswell 2014, Black Mirror Picnic, with Laura Ortman and Bryan Zimmerman. Michael's documentary radio work can be heard nationally on public radio as part of the long-running StoryCorps series.